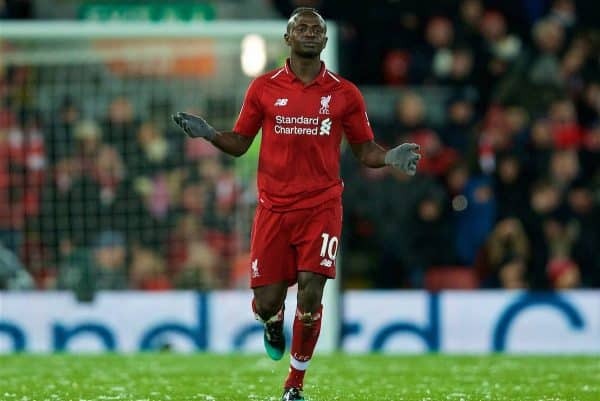 A 1-1 draw with Leicester saw Liverpool extend their lead in the Premier League to five points, but it left fans to weigh up whether it was one gained or two lost. Jurgen Klopp‘s men were forced to settle for a point following a frustrating performance in the 1-1 draw at Anfield on Wednesday. Man City‘s defeat to Newcastle opened the door for the Reds to establish a seven-point buffer at the top of the table, an opportunity which they looked on course to grasp after Sadio Mane edged them into the lead with just two minutes on the clock. But an equaliser on the cusp of half-time from Harry Maguire ensured the lead at the summit would instead extend to five as Liverpool lacked the level of conviction needed to break down a stubborn Leicester outfit. 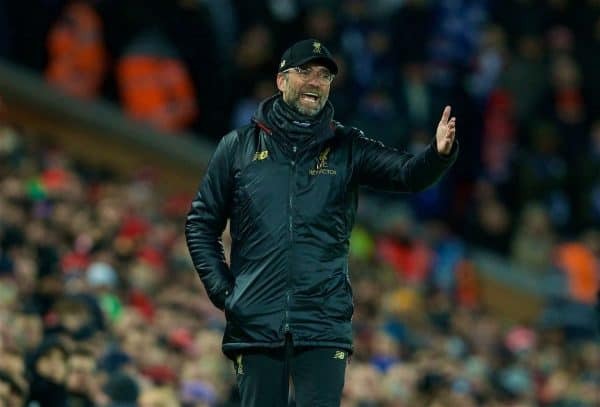 Here, This Is Anfield trio Joanna Durkan (@JoannaDurkan_), Joel Rabinowitz (@joel_archie) and Jack Lusby (@jacklusby_) consider the positives and negatives from the clash, and whether it was a missed opportunity given results elsewhere. JOANNA: The performance was by no means a disaster, but it did leave few positive moments to pick out. 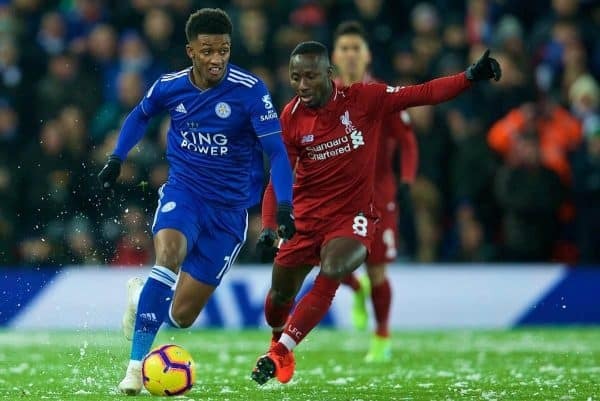 The first 10 or so minutes were played with a level of intensity and a tempo which immediately had Leicester on the back foot, but once the Reds eased off the throttle it was evident that they were in for a tough evening. I thought Mane was the clear standout. His goal was exceptionally worked and while his team-mates looked void of ideas he appeared to be the most likely avenue to goal throughout. Although not a member of the starting XI, Fabinho again showcased how pivotal he is to controlling proceedings and picking through a team with a low block having had an immediate influence in the middle of the park when he came on. 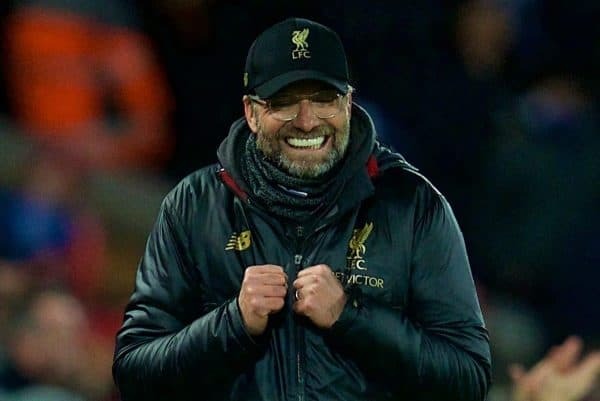 Overall, you can’t be too unhappy when you see Liverpool heading into February with a five-point lead. JOEL: In seasons gone by, it’s quite easy to envisage a scenario whereby Liverpool lose that game, so to come away with a draw is frustrating but not a catastrophe. I thought Matip made some excellent, incisive driving runs to break through Leicester’s defensive lines, and Henderson was useful providing an attacking outlet as a makeshift right-back. Mane, though, was the standout performer by far on the night. He took his goal brilliantly and always looked the most likely to make something happen going forward, and his work rate tracking back was exemplary. JACK: Like Joanna, I thought the way Liverpool started the game was hugely impressive. There was a confidence in the way they zipped the ball around, and scoring at the end of a 30-pass move, when Leicester had touched the ball once, was brilliant. It subsided from there, but I don’t think it was as poor a performance as some have made out: credit should go to Leicester for finding a way to keep the likes of Shaqiri and Salah quiet. On an individual level, as mentioned Mane was a standout, but Wijnaldum deserves praise too for how he slotted back into the midfield and carried those around him. His composure is still so underrated. JOANNA: You can usually cope when a handful of players aren’t at their best, but as a collective unit the Reds were not at the races once the initial adrenaline rush dissipated. Liverpool were just far too passive and lacked the patience needed to navigate their way beyond a stubborn Foxes side, having amassed just three shots on target—two of which arrived in the opening six minutes. 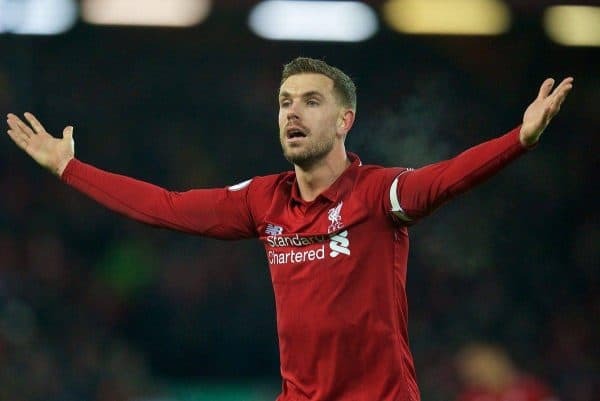 While Leicester were handed chances to punish the Reds throughout, the way in which they levelled the scores was frustrating to say the least as a rare moment of ill-discipline from Robertson went on to cost two points. And although I was not entirely impressed by what I saw from the men in red, it was nothing compared to Martin Atkinson’s performance. It seemed as though every decision went the way of the visitors, but how Keita was not awarded a penalty after clearly being infringed is beyond me. JOEL: After such a positive, high-tempo start to the game, Liverpool really took their foot off the gas after going 1-0 up so early on and failed to capitalise on their dominance. There’s always a risk against dangerous counter-attacking sides when you don’t get that second goal, and so it proved. There were warning signs, especially with Maddison’s header drifting wide of the far post from point-blank range. Like Joanna said, the manner of the goal was hugely frustrating and such a needless foul for Robertson to give away right on the brink of half-time. Liverpool struggled to create any real clear-cut chances in the second half, although I have to say Atkinson’s performance was appalling. Maguire was surely the last man when he brought down Mane when clean through on goal, and was extremely lucky not to see red. Then there was Ricardo’s foul on Keita, which was as blatant as they come: none of the ball, standing on his foot as Keita was about to shoot. Liverpool were poor on the night, but you need obvious decisions like that to go in your favour. JACK: It’s a bit small-time to moan about refereeing decisions, so I’m not too bothered there. I was more concerned with how off-the-boil some players seemed after a break that was designed to re-energise, with Alisson, Robertson, Van Dijk, Keita, Shaqiri and Firmino all sloppy on occasion. 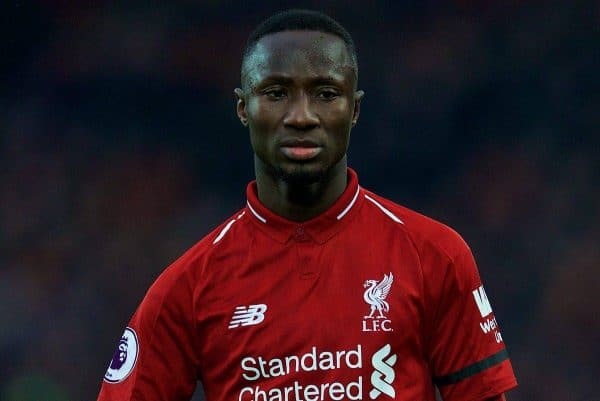 Keita was the main culprit for me: when given an opportunity in his natural position, he again looked way too slow, weak and at odds with the demands of the system. But most perplexing was the decision to replace him with Lallana, who did nothing to influence the game and, at this stage, was not really expected to either. A non-entity. …and in your view was it one point gained or two points dropped? JOANNA: I’ve had a foot in both camps since the final whistle, with my heart and head being in direct conflict. After City’s defeat it felt that a seven-point lead was within reach and to fall short of capitalising on their misstep, in the manner we did, definitely ensured a feeling of disappointment washed over me at what felt like two points lost. The emotion of it all takes centre stage as the enormity of every single point on offer grows with every passing game. Yet, admittedly, once the initial emotions subsided and I could look at the bigger picture, in the end it feels like a point gained. 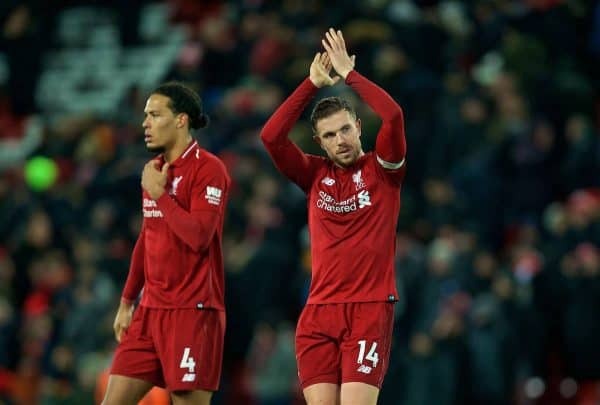 The Reds didn’t do enough to merit all three points and Leicester were up for it and deserve a level of credit for not allowing them to find their feet in the game, and in seasons gone by we could have easily found ourselves leaving empty handed. A missed opportunity, yes, but we remain in the enviable position with a five-point gap in our favour with 14 games to go. JOEL: It certainly feels like two points dropped, despite Liverpool actually extending their lead at the top over City to five points. The chance to go seven clear was there for the taking, so it’s a real missed opportunity in that sense. 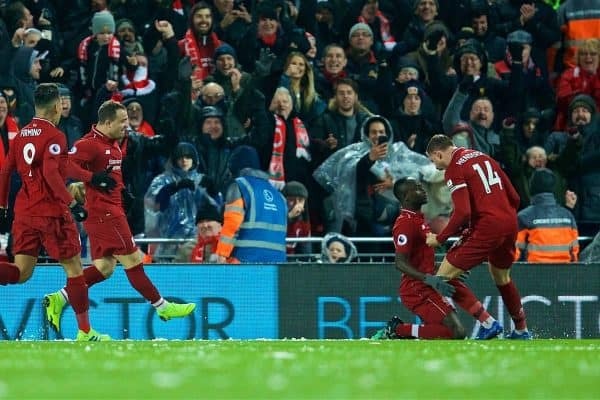 Whether it turns out to be a useful point will be defined by what happens next, and what is crucial now is that Liverpool respond with wins against both West Ham and Bournemouth. City have a tough run of games coming up against Arsenal, Everton and Chelsea, so if Liverpool can pick up six points from the next two fixtures then despite this minor setback, it’ll still bode very well heading into the final stretch. JACK: One point gained, come on. That run of winning every game against sides outside of the ‘big six’ was never going to last for the entire season, and while Leicester were out of form they’re still among the best of the rest. I’d sooner see City’s slip-up as a free hit, and extending the lead to five ensures that things are still much more comfortable heading into February. West Ham next, no point dwelling on only the fifth time we’ve failed to win in 24 games.